We're born alone, we live alone, we die alone. Donating your blood to someone in need gives you an opportunity to be in two bodies at a time. Its soothing to sit by the side of the one who received your blood and survived. Since inception we have been selflessly connecting blood donors and the ones who need blood. We collect blood requirements through our website, various social channels and dedicated contact numbers. The collected requirement is curated and shared in our closed state-based network and various social media channels. BloodPlus team does an extensive search of its Blood Donor’s database and your details with coordinates are shared. 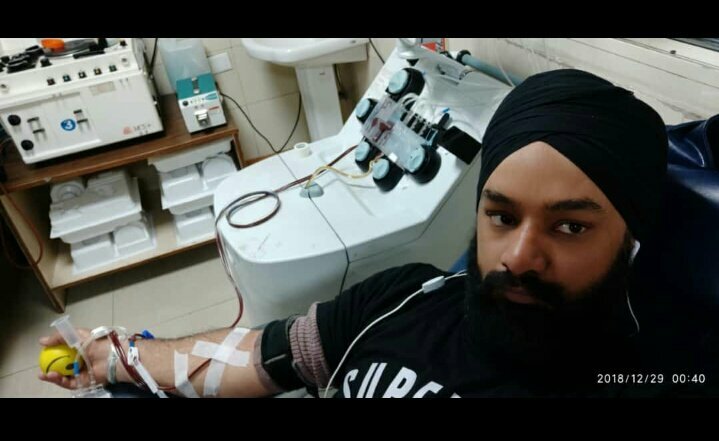 The donor reaches to the hospital, gets doctor’s clearance and donates blood. Just a ‘Thank You’ is all what is expected. Donating blood is a great way to give back to your community and potentially save a life..! Need Blood Group - O Negative at SGPGI Lucknow, MRH Dept. Donor required by 3rd December at PGI Lko. You can reach us via any means mentioned here. However, we prefer electronic means of communication as it speeds up the process.